This week Dallin had the opportunity to visit and teach a family outside the temple in Guadalajara. In order to get there, they all crammed into a small VW, and Dallin said his knees were touching the dash of the car the entire ride! They passed through the main downtown area of the city, and Dallin said it is truly beautiful. He has also found a new love in these delicious savory pastries that are sold on the street outside his apartment. They are filled with cheese, apples, and ham. YUM! He also shared that a couple of Mexican missionaries were complaining about how spicy and hot the food can be. Dallin said that he could handle it just fine! Thanks to Mom for teaching us that spicy is best! The work is going good and time is flying by. We are happy to report that all is well in Mexico! On the way to the temple! Viva Mexico & Feliz Navidad! On Saturday, this lady who was like 65 was telling me how hard it was to get a visa for the USA. She was very animated about it and she was like, "Why is it so hard? ", and I said. " I don’t know." She then said she had a great idea. She said, "Well you’re a handsome man; marry me so I can get my papers". It was so funny and the best part is that she spoke in Spanish... and I understood. This happened just before a lesson we had with a family that owns a small shop. We teach them out in front of the shop, and the old lady was out front too. The lady who wanted to marry me sat in on our lesson. She was so funny and the joke of the day and during the lesson was about the visa papers and us getting married. She said at one point, "I want the papers and a honeymoon." I replied with "Usted tiene mucho dienero?" (Do you have a lot of money?) Everyone was dying after I said that. The lesson went well and she really liked it as well. The picture of the little girl and I is Pow, and she is adorable. Her family has been members of the Church for about 4 months and they are so nice. Her father comes with us a lot to teach lessons. They said they’ll be my family this Christmas. It made me happy so don’t worry I am good hands. I finished reading The Book of Mormon again. It was awesome to re-read it again. What to read now besides Preach My Gospel? I think I will read about Christ’s ministry. Today we had the whole zone get together and play dodge ball, soccer and basketball. I played basketball and dodge ball. Everyone wanted me on their team for basketball they call me the MVP. We ate some good carne asada and sausage which was so good. Tell Shawn Cook how good my food is here in Guadalajara! Don't worry...this nasty guy was OUTSIDE. Dallin assured us, no bugs inside the house! Everyone thinks it's so funny that Dallin loves "Frozen" and Disney so much! After a fun afternoon of dodge ball, basketball, and soccer! Some delicious carne asada & sausage for lunch! Most P-Days (Prep Days & E-mail Days) are spent playing soccer. I have had a lot of fun here in Guadalajara! I love it here. Last week a dog tried to bite me, the dog wrapped his jaws around my leg and was going to bite but then stopped and ran away. That was strange and weird; I got some dog slobber on my pants and socks. Yesterday, (Sunday) we visited an investigator, and it was her birthday so she invited us to have cake with her. She had been ill for a week so we gave her a blessing. I was performed the anointing which is the third time so far in the mission field. I feel like I stumbled through the words in Spanish, but every time I have managed to accomplish the prayer. We played soccer today and everyone calls me the MVP. I’m a pro at goalie position. I only allowed 3 goals in 3 games. The games were the first team to 10 wins, so yes, I was the MVP for today but that could all change next week. A dog that didn't want to bite him! Working by candle light & some Coke! Companionships are set and the Elders & Sisters are ready to head out! 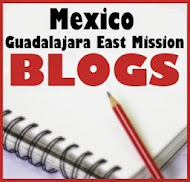 Life in the Field: First Week in Mexico! Last visit to the Provo Temple while at the MTC. 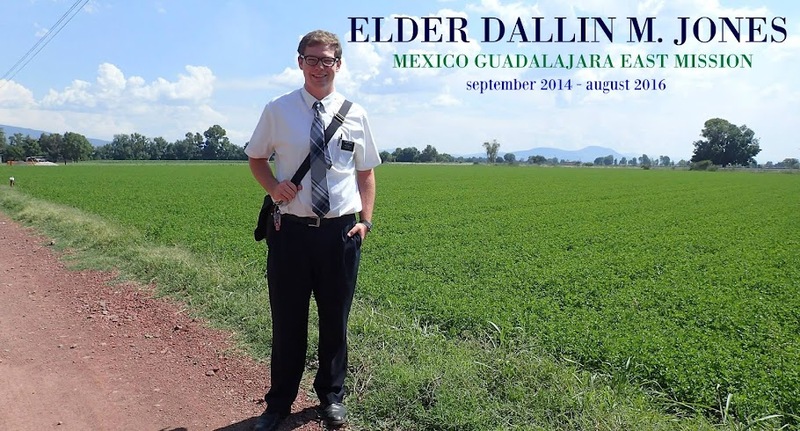 Dallin arrived in Mexico on Monday, October 27, 2014. He and his MTC district traveled together and were picked up by missionaries and taken to the Mission President's home in Guadalajara. They all spent the night in the home, and on Tuesday were given companions and sent out to their first areas. 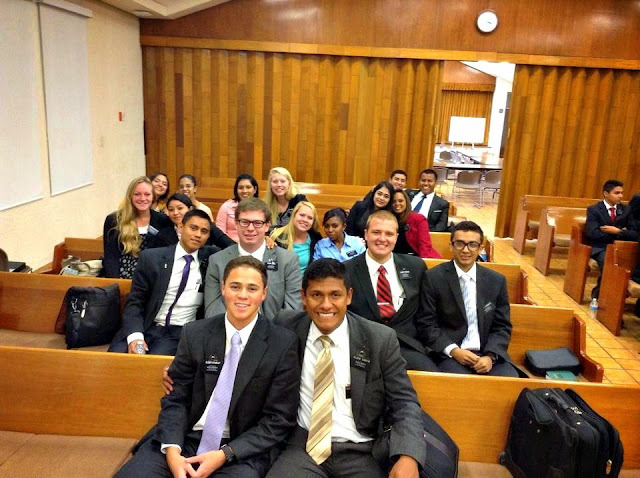 Dallin is having a wonderful experience in Mexico. Everyone is friendly, and loves the missionaries. He has been able to have dinner with many families and says the food is delicious. He hasn't eaten anything "weird" yet, and has even had pasta twice (which he thought was quite funny!) The children in Mexico celebrated Halloween, which was also fun for him to see! He is enjoying his companion, Elder Moreno from Mexico, who only has about 10 more weeks in the mission field. Dallin is enjoying his time and anxious to share the gospel with the people of Mexico. 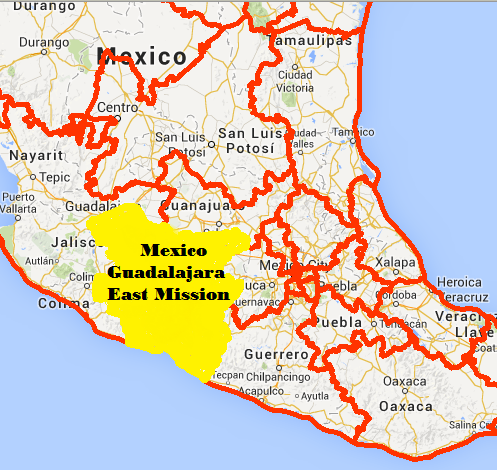 He is currently serving in the Libertad Ward of the Refoma Stake in the city of Guadalajara. He and his companion have a very large apartment with a functioning kitchen and bathroom. Everything is going great, besides a few blisters, and Dallin is loving every minute! 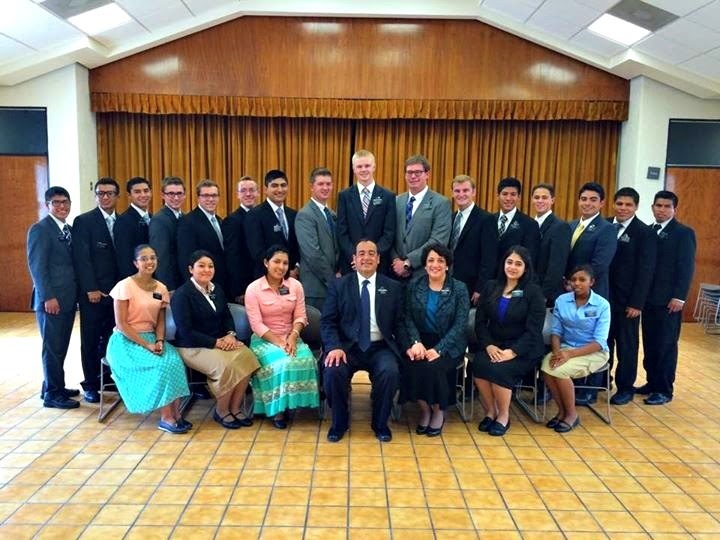 One of the MTC trainers and the Elders ready to head to Guadalajara! One last photo with Elder Anderson! This was where the Elders slept when they arrived at the Mission President's home. Dallin's "Frozen" bed. Thanks to Lauren for the poster and pillow. Dallin chose the pink blanket while shopping at the missionary mall. Too funny!